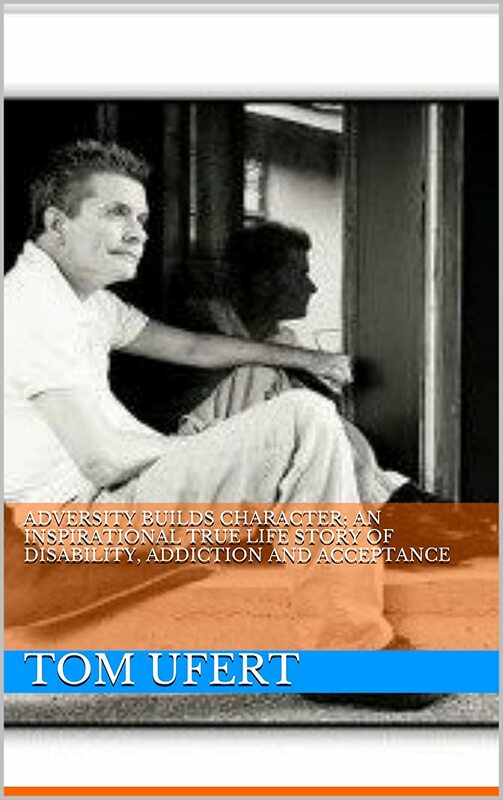 Adversity Builds Character is the story of a young man’s life struggles to find his way through the trials and tribulations of family turmoil, self determination, and personal judgment. This transformational life experience, like so many, demonstrates the triumph of the human spirit over the pitfalls in our modern world. From a divorce wrecked family life through the upheavals of a shattered home brought on by a disease-ridden single mom, Thomas Ufert is blessed with the first of many second chances granted to him by his Godmother and her family. Overcoming personal character flaws this new home life radically averts potential disaster and leads him to greater heights by redirecting and guiding the God-given talents of his character leading to never before realized academic and social achievements. At the height of his new found career development, while in college, Tom’s world is shattered yet again by the sudden tragic loss of his mother in a bizarre event of mercy-killing and suicide. While attempting to put this catastrophe behind him, personal doubt, guilt, and the awakening of his inner most desires threaten to destroy all he has worked so intently to achieve. Drinking and sexual experimentation almost ruin his future hopes of a promising political career to only be averted and redirected yet again through the guiding love of his life-long patron. Studies abroad and the first real love of his life demonstrate the truth of his path. Short-lived, divorce yet again forces a change of direction, ultimately pointing the way to his true self. Temporarily postponing his career, Ufert relocates and discovers a world where he finally feels at home and accepted without ridicule. As is so often the case, comfort and overconfidence lead to weakness and self-destruction. It is at this moment that one either succumbs to the burden of outside influence or gathers all his strength to rise like a phoenix. Though poor judgment nearly costs him his life, Tommy finds his character and rises above it all. One thing which needs to happen in regards to people with is that the rest of us need to accept these individual for who they are and not what they are. And we must start this by teaching our children this concept at an early age. The sad thing about this is that from my experienced their parents are apparently not interested in doing this, What is the experience I’m talking about. My experience is back in November of 2007, I had an early reader [ages 5 - 8] children’s book I wrote published by a small press publisher. The book is entitled “A Lesson My Cat Taught Me” and it’s dedicated to those who cab accept others for who they are and not what they are. In the Fall 2009 issue Teaching Tolerance made my book a recommended resource. Teaching Tolerance is a special project from the SPLC [Southern Poverty Law Center]. After the contract I had with my publisher ended in March 2010, I decided to self-publish the book again, and it released in October 2010. Since then the book took 3rd Place in the 2011 Sharp Writ Awards – Children’s Books Category. The contest is organized by Smart Book Lovers – whose members belong to MENSA and other Hi IQ groups [meaning the judges for my book's category had been children members of these same groups]. Despite all this. Despite all my endeavors in marketing/promoting my book, the sales have been absolutely DISMAL. This leaves me with only one unfortunate reason which might answer this situation, and that reason is these parents not interested in having their children learn this vital lesson from a book. A interesting aside here is everyone who has bought a copy of the book for their children said their children loved reading and the parents found it an enjoyable read themselves. MEET FOAL AND THE ANGELS! BE INSPIRED! Enter your E-mail address to join THE LIST!